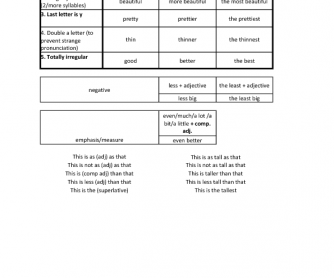 A summary of comparative and superlative formation including the irregular adjectives. 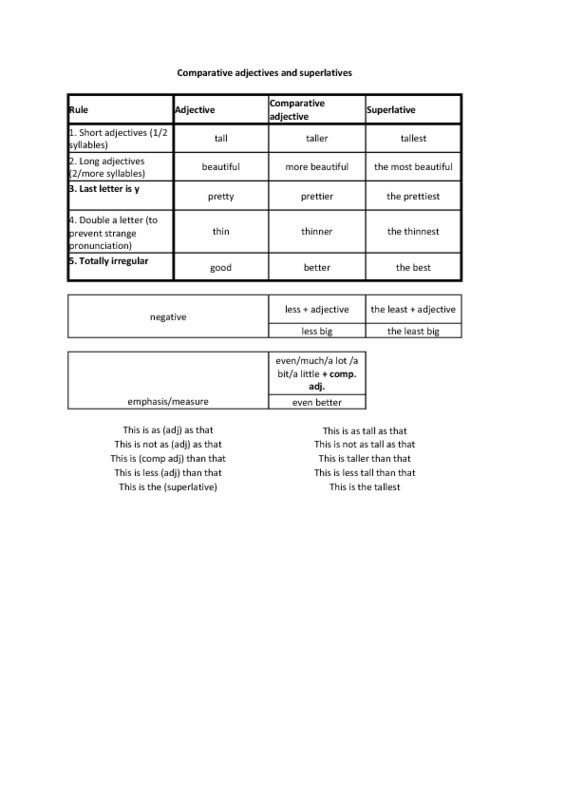 Sentence structures using comparatives and superlatives. Information presented neatly in a table, ideal for a high B1 or B2 class. Could be handed out at the start of a grammar lesson on comps and sups or at the end for students to take home and keep as a reference.